A new era at Woodbine Mohawk Park will officially open with a bang this Saturday evening (May 19). 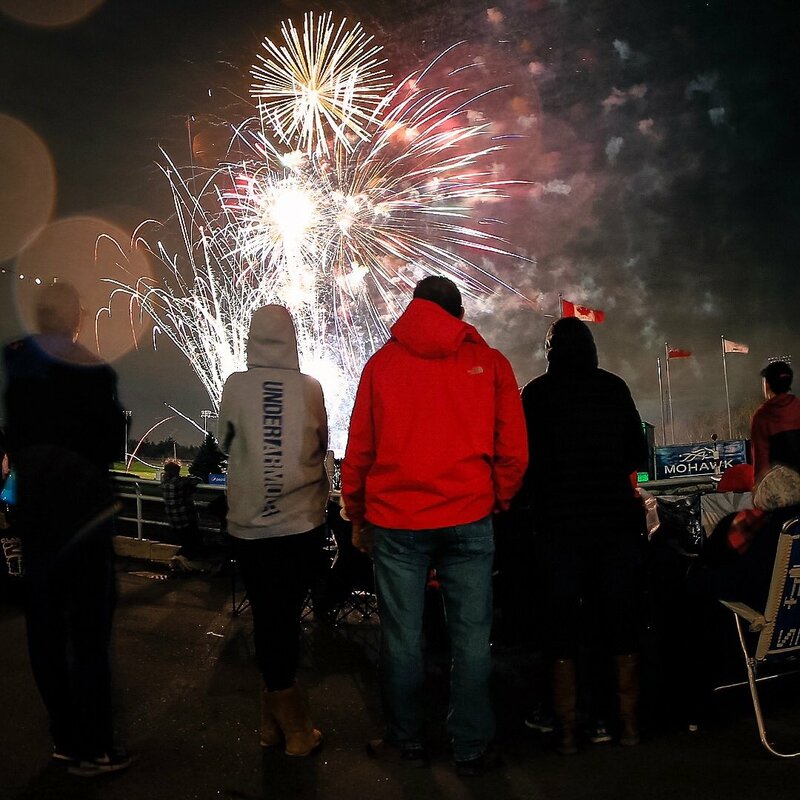 The 55-year-old racetrack will host its annual Fireworks and Family Fun Night in conjunction with its ‘Grand Re-Opening’ following $10 million in upgrades to the facility. A ribbon-cutting ceremony will take place in the winner’s circle around 10 p.m. ahead of the spectacular fireworks show. A special group of dignitaries, including Mayor Gord Krantz of Milton, will be on hand for the ceremony. Fireworks and Family Fun Night is a must-attend event each season and there will be plenty of activities for all-ages this Saturday. Outdoor activities include a special ‘Kids’ Zone’ featuring bouncy castles and pony rides. Admittance to the ‘Kids’ Zone’ is $5 and includes unlimited bouncy castle access. The always popular face-painters will return and work their magic inside the Grandstand on the main floor. Each face-painting cost just $2. Crafts and games for kids will also be set up inside the Grandstand. The concession stands will feature a ‘Kids’ Combo’ meal on Saturday. The $5.99 meal includes a choice of hot dog or pizza slice, juice box, chips and a glow bracelet. Powerhouse vocalist Elyse Saunders and country band Ole Fashion will have fans entertained throughout the evening with live music both inside and outside the Grandstand. Live racing gets underway at 6:45 p.m. and is scheduled to conclude at approximately 10 p.m. The 10-race card features a pair of $113,000-plus SBOA Stakes Finals. The always-spectacular fireworks show will take place at approximately 10:30 p.m.
For full details about Saturday’s ‘Grand Re-Opening’ and Family Fun Night, visit www.WoodbineMohawkPark.com.